A new season is the best excuse for a new shoe wardrobe. Our latest campaign shoot highlights some of the key styles for the season that will bring your shoe game right up to date. Peruse the pictures from our schuh AW16 campaign, as we run you through the top trends to get your feet prepped for the new Autumn/Winter season. Nothing embodies the word opulence more than velvet. The plush fabric is an autumn/winter wardrobe staple and is EVERYWHERE this season – in over-sized blazers, wide-legged trousers, boots and heels – just drape yourself in it head-to-toe and and revel in the regal-ness. Velvet is really having a moment, dominating the runways of the A/W16 shows. Lacoste even presented an updated, luxurious take on the velvet tracksuit. Encounter is your go to heel for adding a decadent touch to evening outfits, coming in vampy black for a bit of gothic glamour or stone for a softer, luxe look. For every-day luxury, try bow detail velvet slip-ons. Sneaker lovers, rejoice – the trainer trend is going nowhere. Opt for a minimal style and you’ll be able to wear them with everything. There’s always a trainer-du-jour and right now the adidas gazelle is reigning supreme. The all-white leather option are an outfit saviour to brighten up dull winter days. Let your feet do the talking with shoes that scream ‘LOOK AT ME!’ This trend is all about making a statement so don’t be afraid to go bold with your footwear choices. First up is the embroidery trend. We’ve seen it on jeans and personalised jackets throughout Spring/Summer, but this trend is sticking around. It might be a little reminiscent of your Granny’s curtains/sofa/whole house, but there’s something so right about a little bit of tapestry. 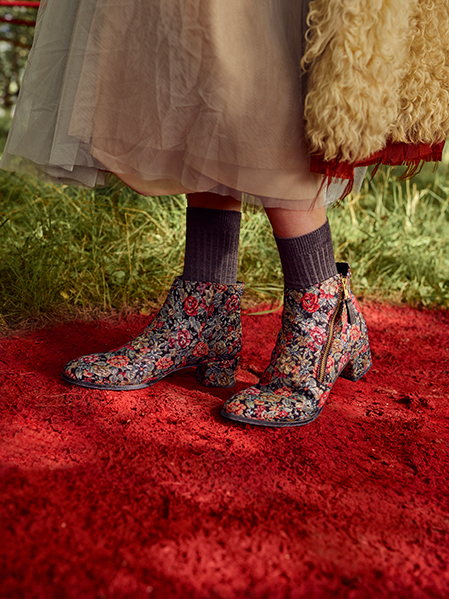 Nail two trends in one – embroidery and winter floral prints – with Red or Dead’s Patsy Parker, the perfect ankle boot for a first foray into embroidered garments. Next up, a little bit of bling. Apparently, shimmery stuff becomes so much more acceptable in the colder months – evidenced by every Christmas party ever. Glitter and embellishment are essential for Autumn/Winter, and if you ask us, you can never have too much. Sashay your way down the street with our all-glitter-everything ‘President‘ ankle boot. A big trend from last year is back again. Knee-high and over-the-knee boots are perfect for keeping you toasty when the colder weather creeps in. Wear them with skinny jeans tucked in and roll-neck knits for a cosy-chic winter look. Black over-the-knee styles are a versatile Autumn/Winter essential, and the schuh Yorba boot is spot on, in black leather with a little hint of embellishment. If you’re ready to trade in your trainers, we’ve got loads of smart-casual options that will help you step up your style. Check out Chelsea Boots. This is a style that is made to last – Chelsea boots have been pretty on trend since the Victorian times, and were propelled to popularity by the Beatles in the 60s. And the best news – they’re going nowhere. If you’re looking for something that will slot into your wardrobe easily – this is your shoe. Suede styles add a luxe touch to more casual looks, and leather options are great for mixing up your usual formal attire. 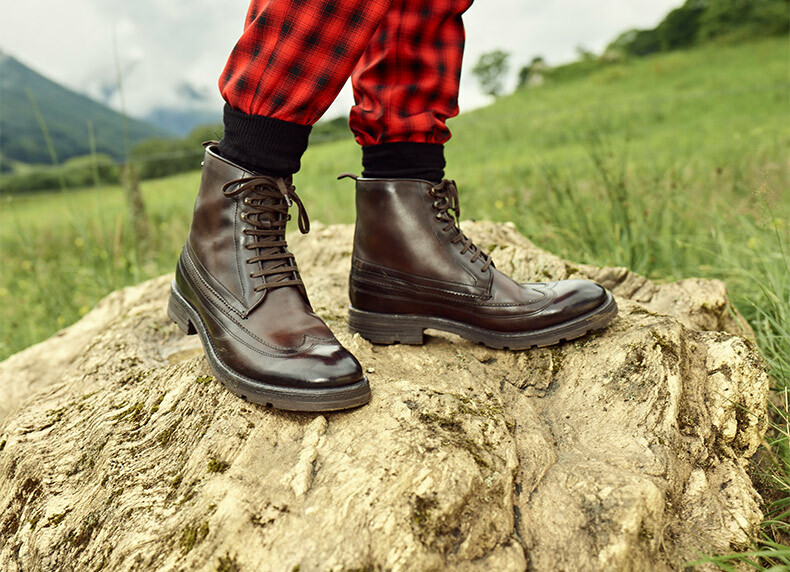 Just remember to keep your trousers on the outside of your boots – Chelsea boots should be slim-fitting so are not really made for stuffing your jeans into. At a push, stack your jeans up on top. We also LOVE a loafer, simply because they come in so many different styles that there is something for everyone. 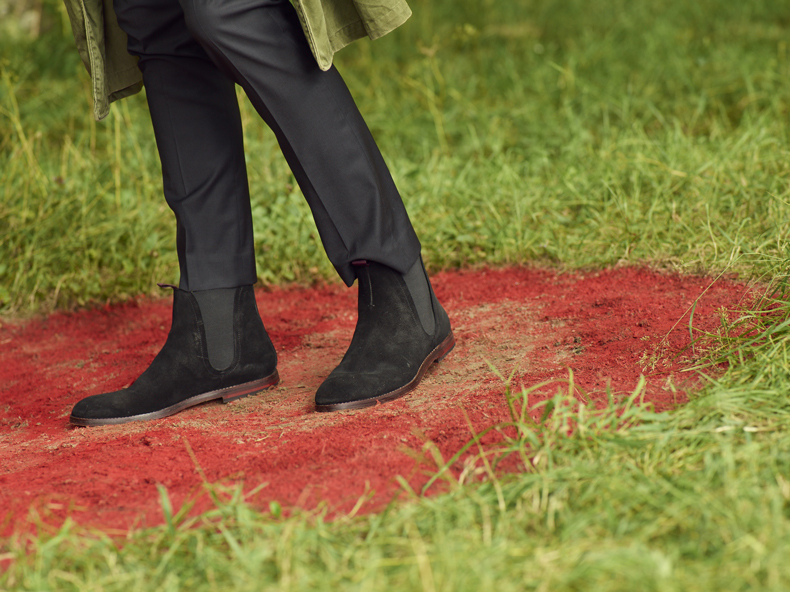 Like the Chelsea Boot, they’re great for smart-casual dress codes. Tassel loafers add a touch of playfulness and will liven up any look. 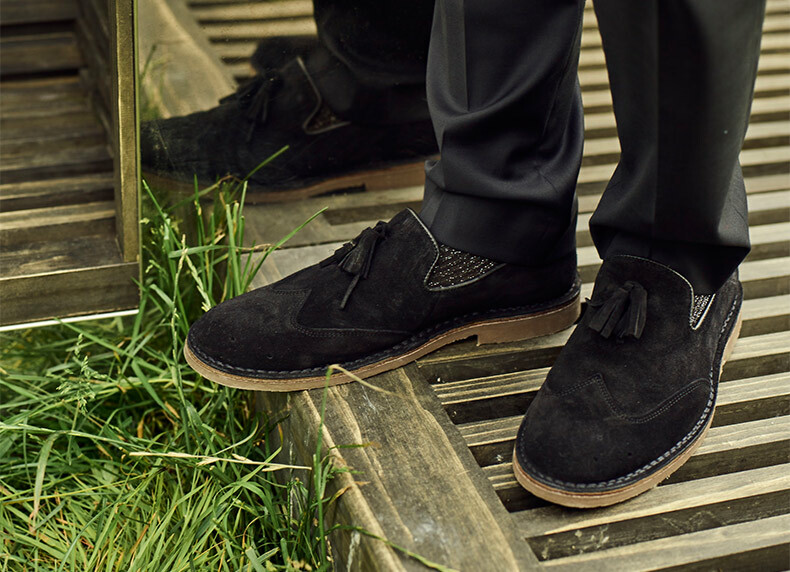 Opt for suede styles for the perfect summer to autumn transitional shoes. The Momentum Burbank ticks all the boxes. Add some edge to your look with chunky, lace-up boots. Slick uppers with contrasting rugged soles are big this season, making these styles perfect for winter weather. You’ll be battling the elements while looking good. Base London are providing the goods with the Valiant boot. There you have it, the low-down on all the trends you need to embrace for AW16. See the season’s best in all their glory in our killer campaign and behind the scenes videos. Happy shopping! What Do K-Swiss and Craig David Have in Common?